Bench seating with a two-tone design. 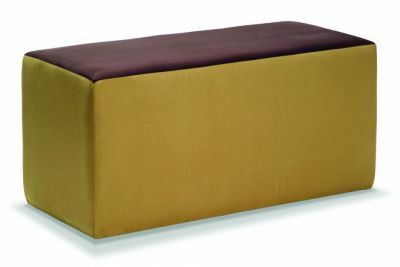 Top and side upholstery in contrasting or matching colours. Manufactured in the UK and delivered in 7-10 working days. Fully upholstered bench seating for breakout areas, this range offers a much quicker delivery of up to ten working days from order. Choose a two-tone effect from our extensive collection of colourful fabrics.